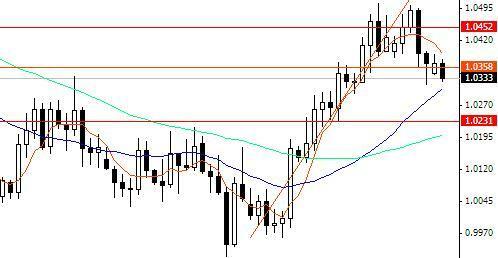 USDCHF seems to be gradually going towards its target at 1.0200 level and from there it might resume its upward trend. Currently the trading volume is very low and we might not see USDCHF moving too sharply and intra-day traders will look for entries with small stops and small profit targets. Selling just above 1.0350 level seems a good opportunity for a small trade at the moment and long term traders will look to hold back till USDCHF settles itself in one direction.